Dr Helen Salouros is the Deputy Director of the Australian Forensic Drug Laboratory (AFDL) of the National Measurement Institute. She has over 15 years’ experience in the analysis and chemical profiling of illicit drugs and is the author of over 20 peer-reviewed scientific publications, conference papers and international presentations. In the last decade there has been an explosion of many new psychoactive substances. The ability to identify these drugs is critical to the process of crime disruption and interception of these drugs at the Australian border. Helen’s research includes investigating new emerging illicit drugs and their synthesis methods and developing capabilities to identify and profile these substances. She is leading innovation through her introduction of robotic systems and automation to AFDL. Dr Salouros received her PhD in Organic Chemistry from the University of Sydney in 2009. 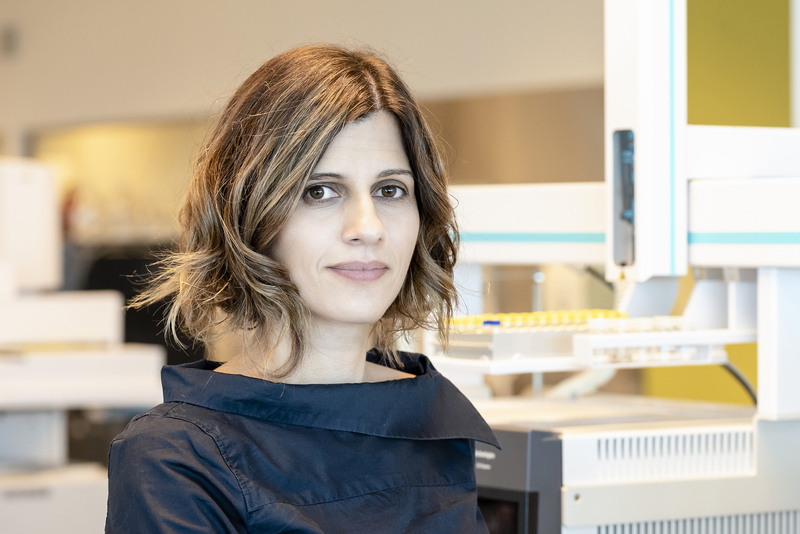 She is internationally renowned for her work on Australia’s Illicit Drug Profiling Program, particularly the forensic applications of stable isotope ratio analysis for provenance determination of illicit drugs. She is passionate about partnering with and mentoring young women in STEM by providing collaborative research opportunities. Helen has two energetic boys 6 and 8 and loves making science fun for them.